Beginning of this year Van Gogh museum made an announcement, it made me very curious and extremely excited. 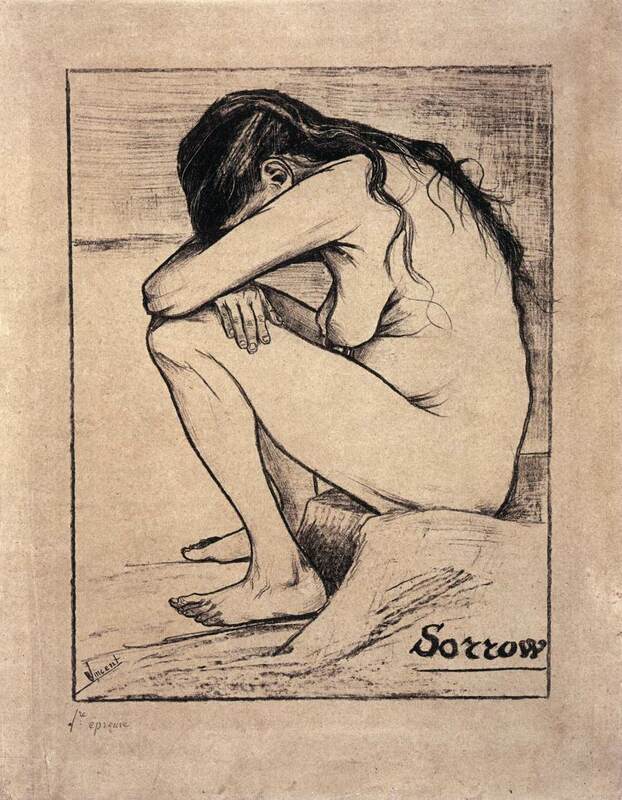 An exhibition with two of my all time favourite artists Edvard Munch and Vincent Van Gogh was coming up in september. So ofcourse, two weeks ago I hopped on a train to Amsterdam. Usually I try avoiding museums with large crowds. I don't like being around so many people and it's almost impossible to stand still in front of a work and admire the genius, without someone staring over your shoulder and sighing for you to get out of the way. But I must say, it was bearable this time. Six years, that's how long it took to prepare this exhibition and I wasn't disappointed. They did a great job. When you walk in the first room you get confronted with two selfportraits, these portraits show two very different people. 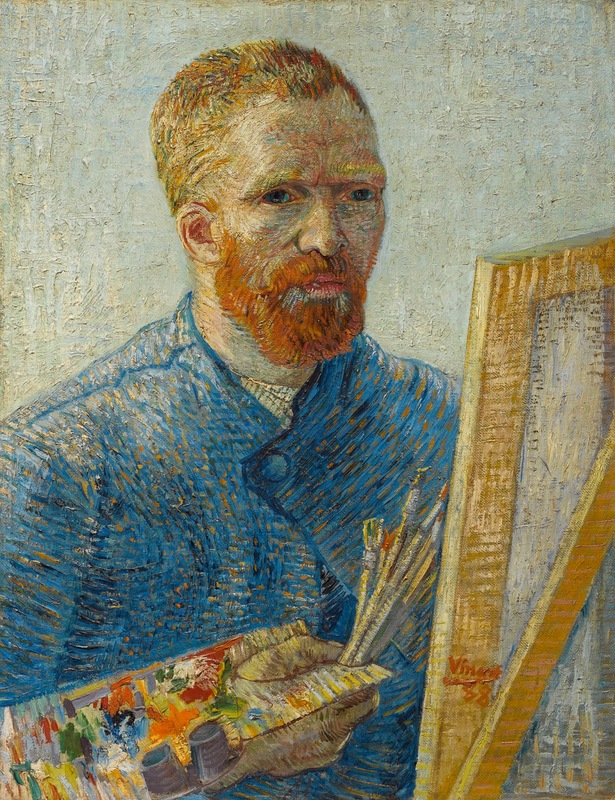 Van Gogh being the man by the easel, portraying himself as an artist. Munch seems less friendly and stands in front of his house, with a palette in his hand. 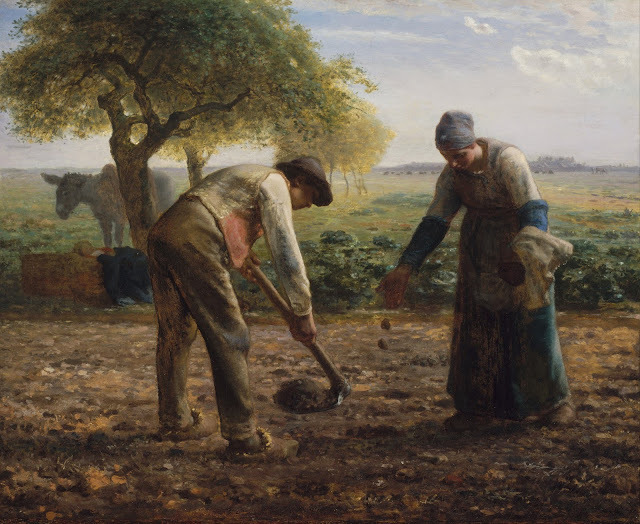 The potato eaters and the morning represent the early years of the artists, they both started painting around 1880. Both show very interesting subjects. 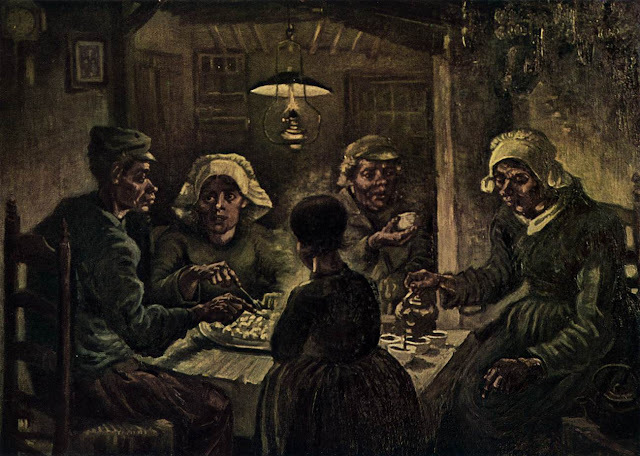 Van Gogh his potato eaters show the thing that Van Gogh longed for namely friendship. 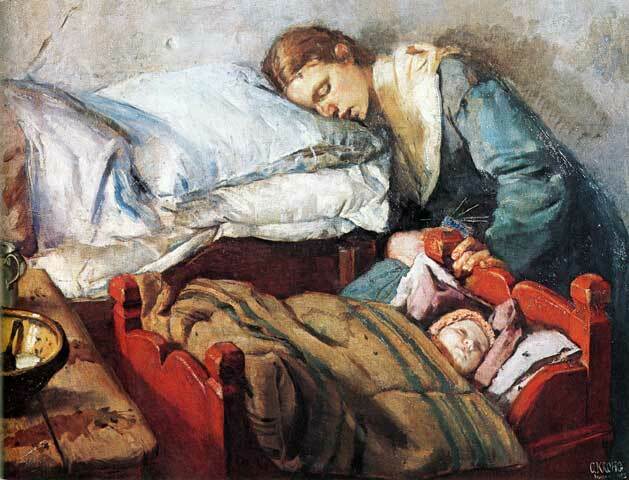 This people didn't have a lot, but they did have each other. 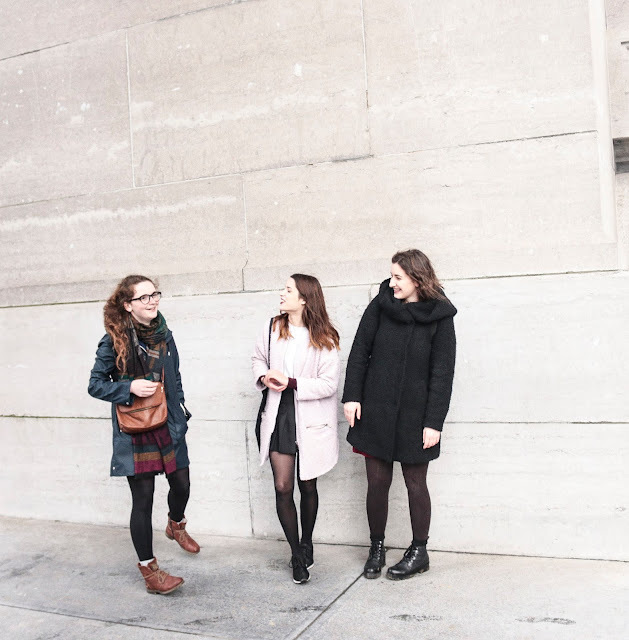 After the tête-à-tête with the artists, you walk along and four other artists are put on display. These artists had an influence on the style of both artists. 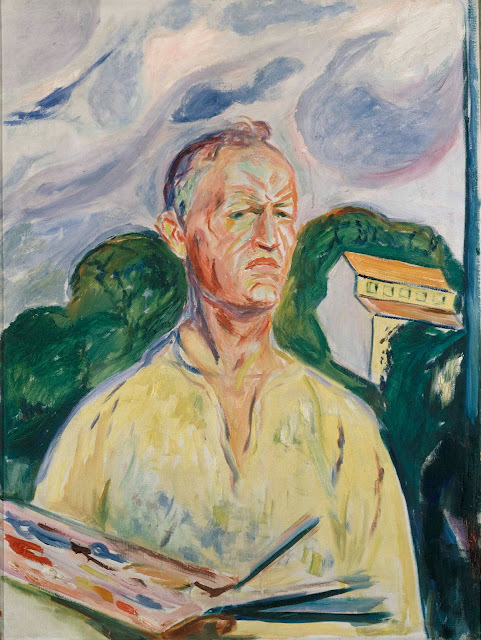 Both on their way of painting and on the subjects they portrayed in their work. 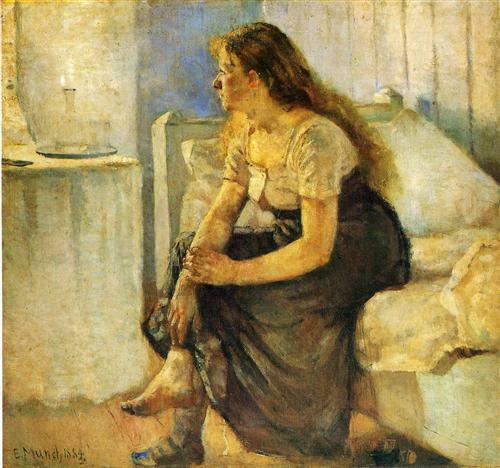 I absolutely adore the work of Christian Krohg, he had an influence on Munch. When you look at the rest of the artists their work you'll see the influences more clearly on the hand of Van Gogh and Munch. As you walk around you follow the timeline and see that they were both looking for their own signature, their individual style. They both went to Paris around 1886, the centre of art at that time. 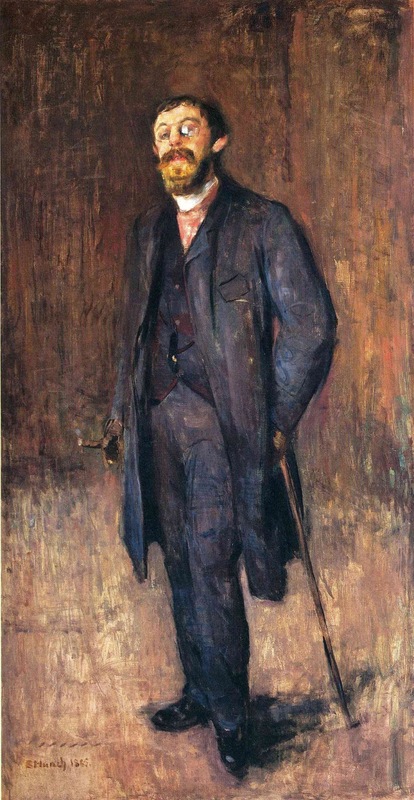 With artists like Henri de Toulouse-Lautrec, Gustav Caillebotte, Edouard Manet, just to name a few. The works you see in the exhibition show that they experimented with the style that was very popular at that time, pointillism. It's through influences by other artists that most artists get to develop their own style, in this exhibition it's very clear who had an influence on these men. 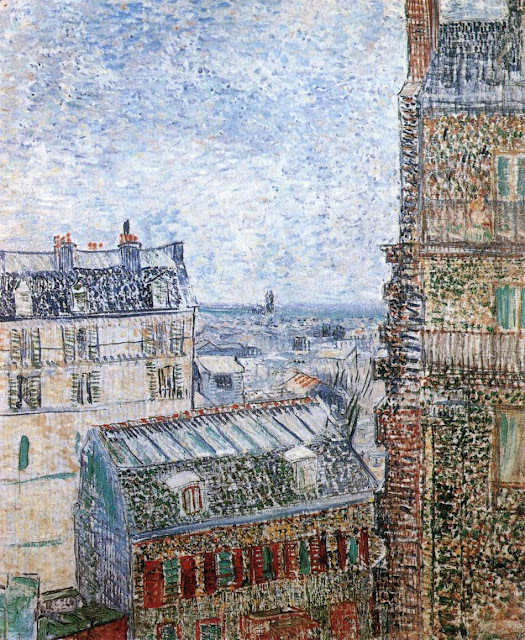 Not only the previously named, but also Paul Gauguin played a part in this development. 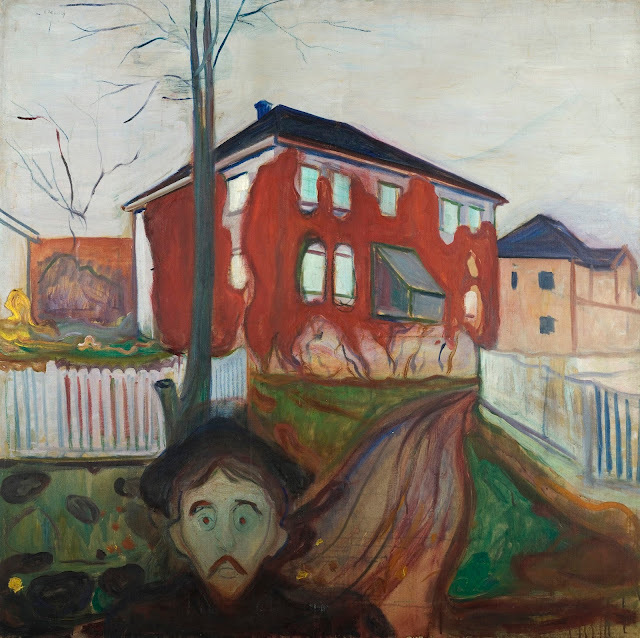 When you visit the museum or even look on the internet and compare a few of their works, you'll see that the way of painting (with heavy contour) starts to take part in both Van Gogh and Munch their work. Vincent van Gogh, View from Theo's Apartment, 1887. In this day and age people are used to holding their phone, looking at the screen (almost) 24/7. When you walk around in the museum you see people holding a audioguide, as big as a smartphone. It feels familiar. 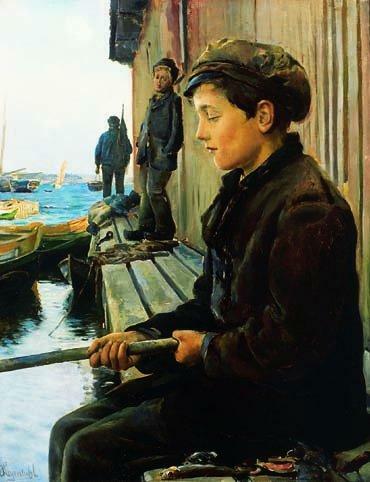 The only drawback is that people keep looking at the screen and it's a pity that they forget to look at the painting. It's a smart thing to give people devices, it keeps them calm and sort of interested in these works. A lot more can be said about these two artists and the exhibition, but I'll end on this note. 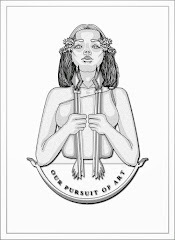 I've been interested in art for years now and it's always pleasing to get to see so many pieces of art that I've known for such a long time. Finally seeing them from a short distance and get to view the details, the textures that are impossible to see on 2D mediums. I'll show you a few of the works that stayed with me after my visit. Those which had an impact on me and made my jaw drop. 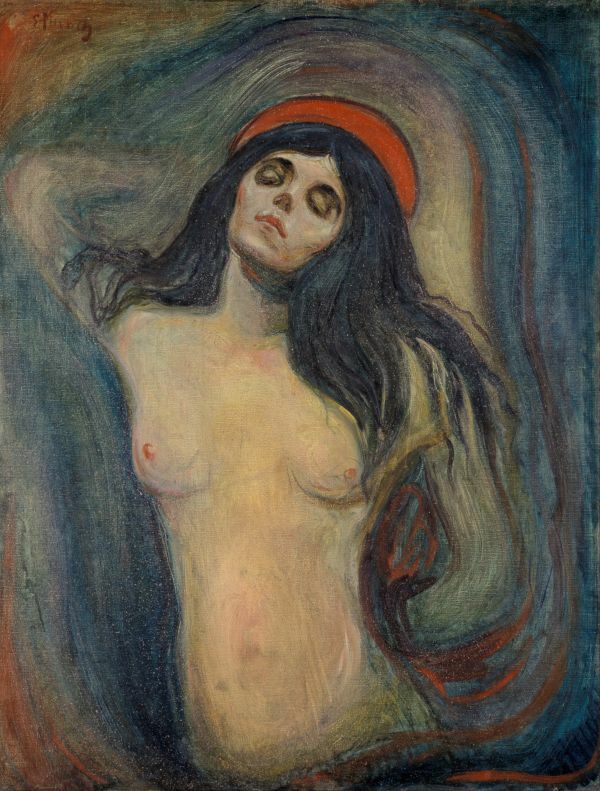 Edvard Munch, Madonna, 1895-1897. I got very exciting when seeing this work in the room. I don't know what came over me, but I really like the figure, the lines, the colours, everything. Vincent van Gogh, Sorrow, 1882. Vincent van Gogh, Undergrowth with Two Figures, 1890. After this exhibition I had to buy the catalogus, which I've been reading a lot. There are some very interesting essays in this book that you should read if you have an interest in either of the artists their work. Without a doubt, you should visit this exhibition if you have the time (and for all those students out there, money ofcourse). It will make your art-history-heart beat faster. The exhibition runs until the 17th of January 2016. I can conclude by saying that I had the opportunity to view a few of Van Gogh his work in real life, but never did I ever see so many works of Munch in one exhibition. My admiration for both these men grew so much. One last tip: make sure to purchase your ticket online and with a specific hour, so you can skip the very very very (!) long waiting line.